Again a training hike for my Santiago trip. Today I walked 32 km (20 miles) from my appartment in Munich to Höhenschäftlarn and back to Baierbrunn along the Isar valley. I took me 6 hours and 1/2 hour break. From Baierbrunn I took the S-Bahn home. This was really exhausting for my untrained old body. Nevertheless a good experience. 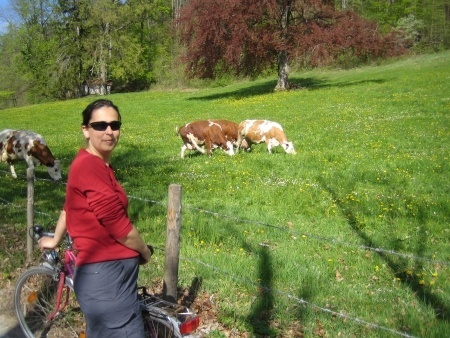 I took the photo below at the beginning of the hike near Unterhaching. 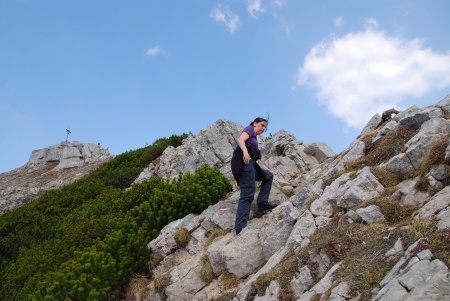 Today Christiane and I hiked in the Spitzingsee region. We took the lift up to Taubensteinhaus and then we hiked up via Rauhkopf (1689m) and the challenging ridge up to Aiplspitze (1759m). Back down to the valley we crossed the Jagerkamp summit (1746m) and then 2 hours walking straigth down to the car park at the lake Spitzingsee. Doing some training for my June Hiking trip to Santiago di Compostela. Today I hiked up to Mt. Herzogstand(1731m) and on the ridge to Mt. 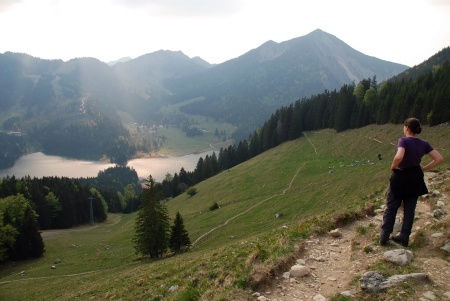 Heimgarten(1790m) (in total 6 hours). 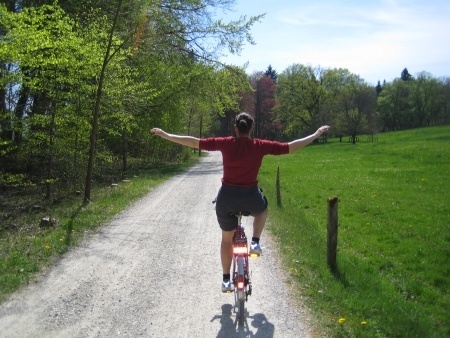 Like every year we start our Biking season with our traditional Ride around Lake Starnberg. This sunny aprile sunday it took us only 3h20 for the 50 km tour. Below some photos. 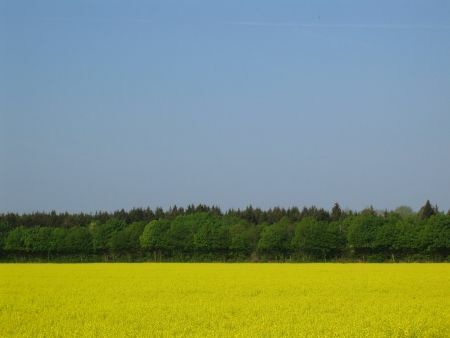 The sunny and warm weather in Bavaria invites for the first outdoor activities. 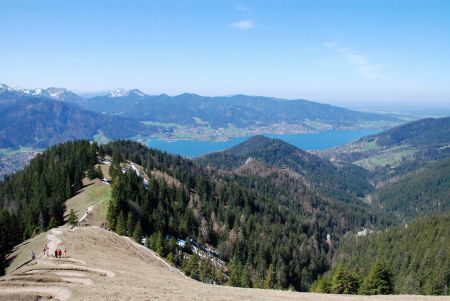 Saturday I checked out my new hiking boots (a Xmas gift) and hiked up from Tegernsee to Baumgartenschneid in about 2 hours. It showed that the boots were about 1/2 a size to small and therefore I returned early to Munich for exchanging them in my outdoor shop for the correct size. 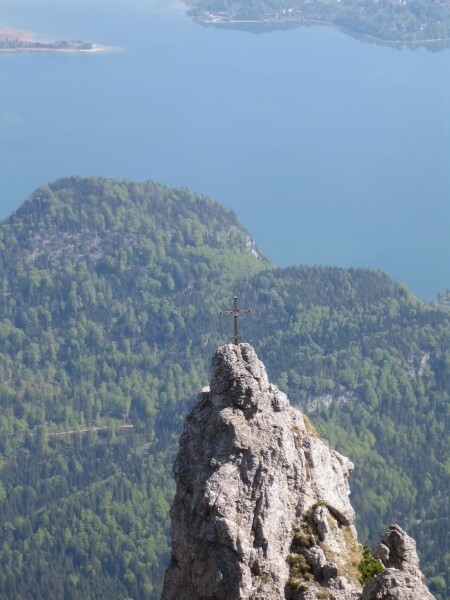 The photo shows the view from the top of the mountain towards the chapel of Riderstein and Lake Tegernsee.